In one of my recent iHerb orders, I finally decided to try out Acai powder. It's a pretty popular superfood, but I wasn't really what sure what to do with it. It's a purple berry that grows in the Amazon forest and is used in smoothies, yoghurt, and other drinks. 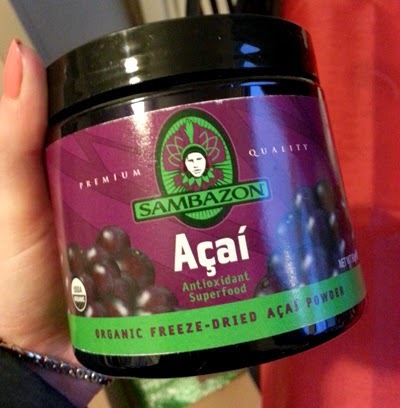 The brand I got is Sambazon, it was $18.49 for 90g, which serves 30. Acai (pronounced A-sigh-ee) provides powerful antioxidants and helps boost your immune system. So far I have added it to my smoothies and greek yoghurt. It's purple in colour, and to be kept in the fridge after opening. It comes with a little scoop, which is so cute, and handy. Nutrition: 20 calories, 1.5g fat (Omega 6 and 9), 1g carbs, and plenty of vitamins and minerals. sweet tooth. It just tastes like what it is - dried berry. It's a little bit dull, so I think it really depends what you mix it with. 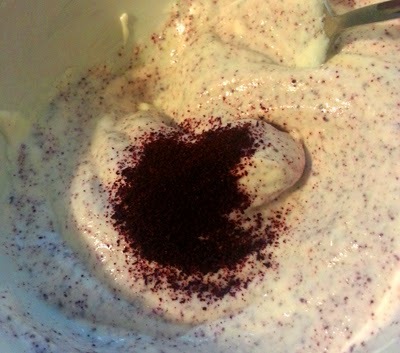 Texture: It does have a bit of a powdery texture, but mixes in well with yoghurts and drinks. Value: While quite pricey for a reasonably small tub, I think it will last me quite a while. A little goes quite a long way. If you want to purchase Acai berry you can purchase from here, and get a 5-10% discount off your first iHerb order by using my discount code LDJ484.